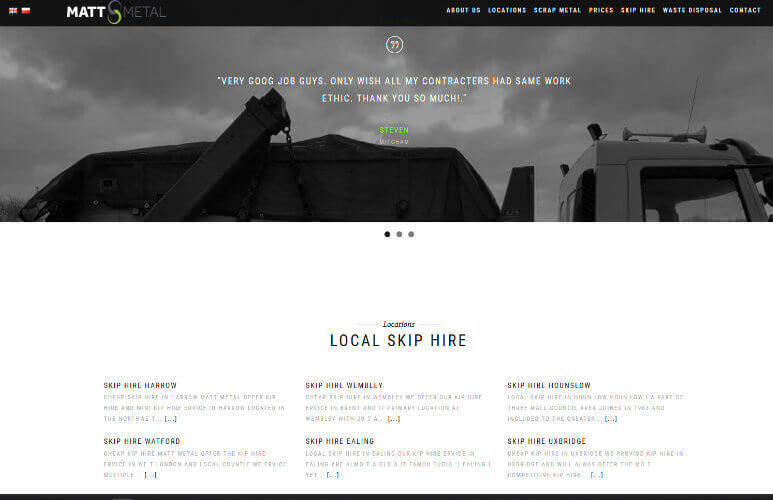 Matt Metal website was created to support growing skip and waste collection business operating on the outskirts of Slough. 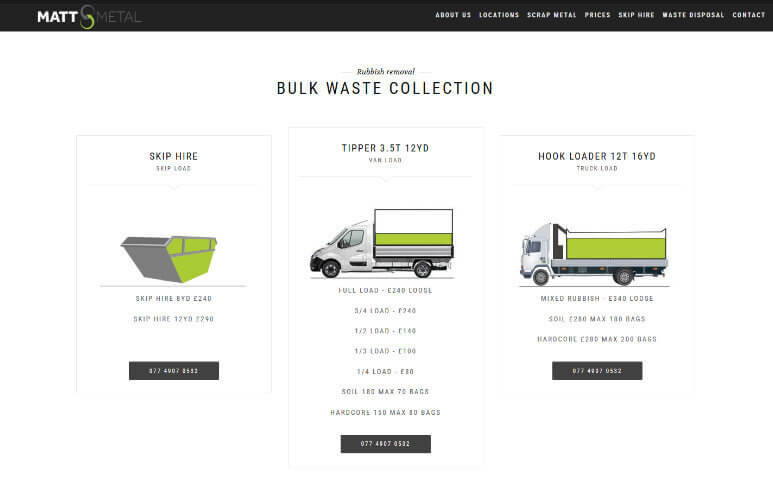 This company owe several skips and tipper trucks that service in London and local counties. Their new website is WordPress based but created from bespoke development from us. They have an option to add new locations and as most of the WP websites to amend current content. The new development contains a minimal amount of plugins. For speed purpose, we have only used Advanced custom fields. Custom post types and Pro Security. This last one is a standard feature on all our websites security is first in our list of priorities. 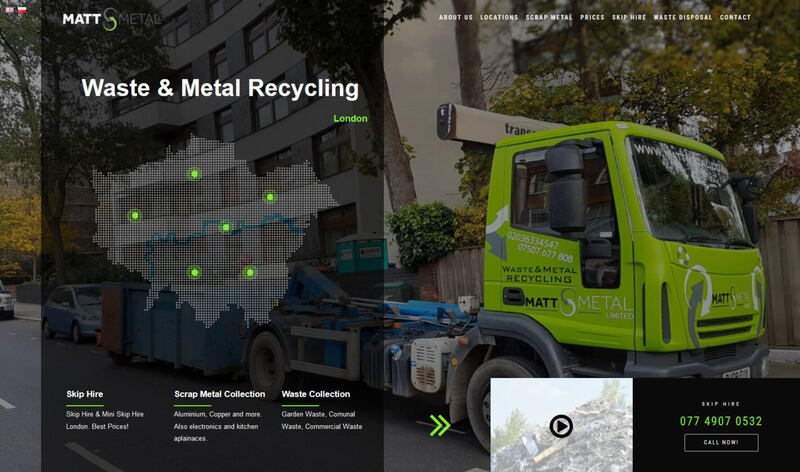 Our project with Matt Metal website did not end on the new website design. We’ve also updated his existing content to include all our keyword research. Matt Metal new website is bilingual, all this thanks to our language capabilities. With primary language set for English, both version we have been updated evenly. From modern look to optimisation, this project is complete. The next step that we have also take care off is an active campaign with AdWords. If you would like to know more about this project or thinking about a new website for 2018, please feel free to drop us an email.